Today, Scots Law on domestic abuse changes. The Domestic Abuse (Scotland) Act 2018 is now in force, creating a new crime of engaging in a course of abusive behaviour towards a partner or ex-partner intended to cause either physical or psychological harm or being reckless towards those consequences. Abusive behaviour, which may cause psychological harm, is behaviour which causes the victim to be dependent on or subordinate to the perpetrator. It can involve regulating, controlling or monitoring day-to-day activities, depriving or restricting freedom of action or acting in a way which frightens, humiliates, degrades or punishes. It also covers isolating the victim from friends, family and support. This type of behaviour could not easily be prosecuted under previous law. The crime may be constituted by behaviour directed at a child of a partner or ex-partner or at another person where that behaviour affects the partner or ex-partner. The Act acknowledges that children may be harmed by domestic abuse. If a child is involved, the crime is an aggravated one. It is worth reflecting on how far domestic abuse law has come in a relatively short space of time. 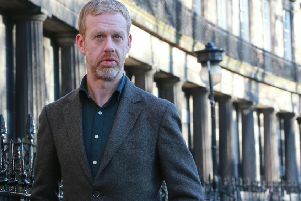 It was only thirty years ago, in 1989, that the highest criminal court in Scotland rejected a legal argument dating back to 1796 that a husband could not be found guilty of sexually abusing his wife. North and south of the Border, the effects of coercive and controlling behaviour between partners are being acknowledged by the courts. A notable example is the English case concerning Sally Challen. Sally killed her husband, Richard, with a hammer in August 2010. She was sentenced to 18 years imprisonment. Her defence to the charge of murder was based on coercive and controlling behaviour, with reference to 40 years of being controlled and humiliated. In February 2019, the English Court of Appeal quashed the murder conviction and ordered a retrial. The court had been told that fresh evidence on the nature of coercive control, not available at the time of the 2011 trial, would enable a jury to come to a different verdict at a retrial. Scotland has enacted legislation, expanding the law on domestic abuse, ahead of England and Wales, where a Domestic Abuse Bill remains in draft form. It is different to the Scottish Act. For example, a specific crime of “economic abuse” between persons who are “personally connected” is proposed for England and Wales. Economic abuse, in terms of the draft English/Welsh Bill is “behaviour that has a substantial adverse effect” on a relevant person’s ability to “acquire, use or maintain money or other property, or obtain goods or services”. Of course, the Scottish Act has not yet been interpreted by the courts. It may, therefore, be that the type of behaviour described in the draft English/Welsh Bill as amounting to “economic abuse” would be caught by the broad Scottish definition of abusive behaviour. The draft English/Welsh Bill proposes to establish a new independent office of ‘Domestic Abuse Commissioner’. The Act now in force throughout Scotland does not create a similar office. 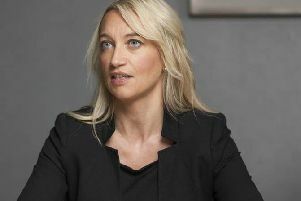 Police Scotland, the Scottish prosecuting authority and the Scottish courts are now, though, empowered to take action in response to a wide range of abusive behaviour. Scotland has come a long way in 30 years in recognising and addressing domestic abuse. The next chapter of Scotland’s story on this will now be written with reference to today’s law change.